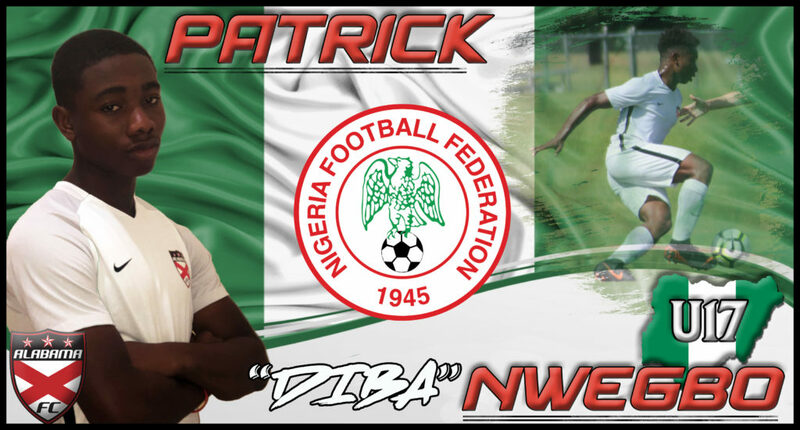 Alabama FC is excited to announce the International call up for Patrick “DIBA” Nwegbo. Diba, a current Alabama F.C. 02 ECNL player, has been called up to the Nigerian U-17 national team for its training camp ahead of the U-17 African Cup of Nations opener against Tanzania in April. Coach Manu Garba has been keeping a close eye on Patrick and has given him his chance to earn a roster spot. Nigeria U-17 have been zoned in Group A, alongside hosts Tanzania, Angola, and Uganda in the preliminary round of the 2019 Africa U-17 Cup of Nations. The draw took place on Thursday evening, as the Golden Eaglets will be making their ninth appearance in the biennial football fiesta. They qualified for the tournament after emerging as champions of the WAFU-UFOA Zone B U-17 Championship. The top four teams of the tournament will qualify for the 2019 Fifa U-17 World Cup in Peru as the C.A.F. representatives.